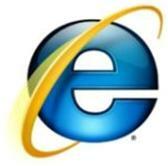 The beta of the next version of Internet Explorer is now available! The IE team just announced the availability of the Beta in MIX08. You can download the Beta version here. The IE team said that the main focus user in Beta 1 is web developer (to help them create website that compatible with IE8/standard compliance) Normal user would have to wait for Beta 2 for more features that focused on them. This entry was posted in Technology and tagged browser, IE8, Internet Explorer 8, microsoft. Bookmark the permalink.